CHANNEL DELAYS: P&O Dover-Calais 20:55 and Calais-Dover 22:25 delayed up to 30mins. LDLines Newhaven-Dieppe revised schedule until 12 January due to tidal restrictions. WEATHER ALERT: Amber alert snow/ice Finland, high wind Germany, Poland and south Sweden. WEATHER: Unsettled in the North, dry across the South. Gales Baltic. TRAFFIC DELAYS: A3 northbound from Frankfurt, two accidents, queues J48-46 delay 45mins. Also, A6 eastbound into Nuremberg, lane closed J54-55 delay 50mins. Note: France: road works on N85 Route Napeoleon between La Mure and Saint Bonnet. 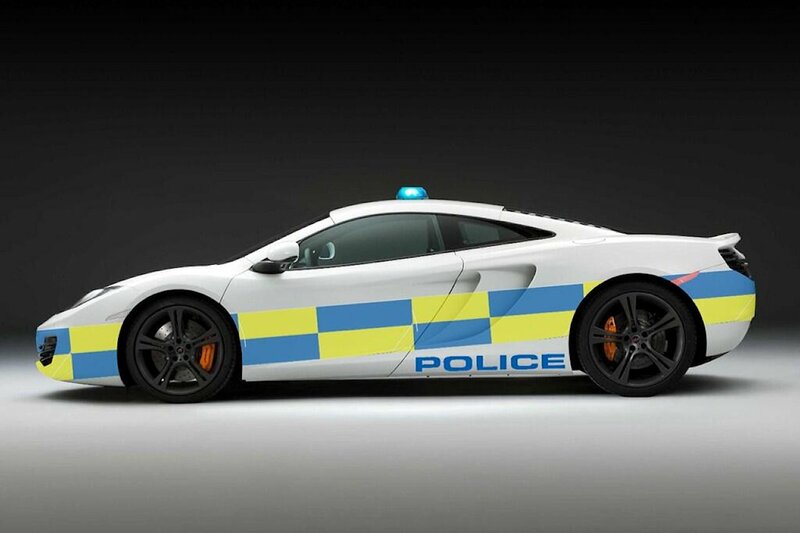 Take no prisoners: especially for this week’s Autosport show at the NEC, McLaren has mocked up an MP4-12C in police decals to ‘help deliver a road safety message’. Not sure exactly what that message is, you’ll have to go to find out. It’s not meant for active service unfortunately/fortunately. They also have a police version of the BMW i3 electric car on the stand. Pic via @HeadofCMPG Martin Evans, Central Motorway Police Group.